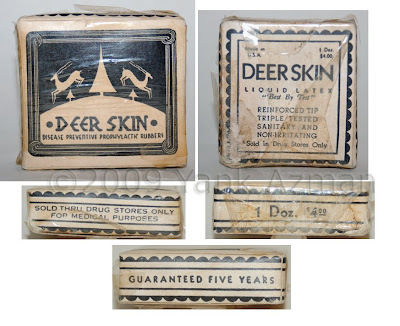 The art deco package design is striking, plus more graphic sexual allusions than you can, uh...shake a stick at: from the negative space to the really long horns. Are they deer or gazelle? Ah, who cares? From the genuinevintage.com collection of packaging & design.